Fantastic highlight reel from Caterham Cars showing some spectacular crashes from the Caterham Racing series. Caterham is quick to quote Chapman’s old mantra that power makes you fast on the straight bits, but lightness makes you fast everywhere else. The R500 weighs about the same as a late Seventies F1 Lotus, which can be expressed mathematically as the square root of sod-all. 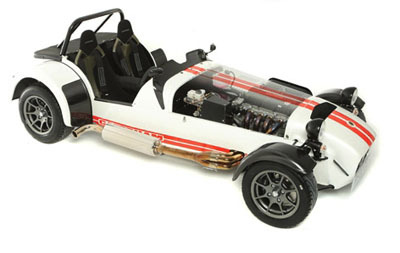 Head over to the Top gear website to read James Mays full review of the Caterham R500.